AED 909 including 10 AED shipping. Nokia is all set to enter in the smartphone market again with its Android smartphones. The company has officially unveiled the Nokia 6 and it’s already available in China. However, if that smartphone failed to grab your attention with its mid-range specs, there are two new smartphones to look forward to and one of them is the Nokia 8 or Nokia Supreme. 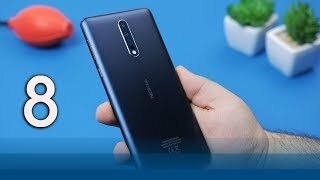 This one is definitely going to be the flagship model from Nokia and includes the best specs possible compared to other latest smartphones. 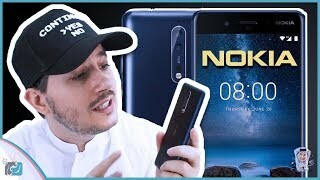 As usual, let’s take a look at the Nokia 8 Dubai price before we get to more details. Considering the specs inside it shouldn’t come as a surprise that the smartphone will cost around 2000 to AED 2400 . To learn more about the device including Nokia 8 release date UAE, keep reading. Do remember that most of the information here are based on leaks and rumors so it will be a good idea to take these with a grain of salt. Compared to the Nokia 6, this one is slightly bigger and comes with a 5.7-inch screen showing 2560 x 1440 pixels resolution and 515ppi of pixel density. We have only seen the phone in blue-ish color so far so there is not much we know about the design at this point. Same goes for the weight and dimensions for which we will have to wait for the Nokia 8 release date UAE or official announcement. It’s expected to look similar to the Nokia 6. The display will be protected by Gorilla Glass 5 which means users don’t have to worry about protecting that display. Things are looking great for the Nokia 8 in the camera department. The rear camera is a 24-megapixel one and includes Optical Image Stabilizer and dual-LED flash. 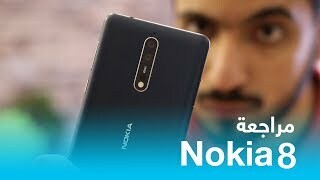 It will be interesting to see what the camera has to offer after the Nokia 8 release date UAE. Selfie lovers can consider this smartphone as well as they will get a 12-megapixel front camera. To make sure users enjoy those captured videos when playing them in the phone, Dolby Atmos sound enhancement is included. For those who want to get the best camera focused smartphone available at the moment, there is the iPhone 7 Plus and Google Pixel XL. These are almost in the same pricing range as the Nokia 8 Dubai price which means price won’t be an issue here. 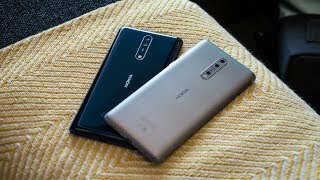 The best thing about the Nokia 8 is definitely its processor. Qualcomm displayed their latest processor and this smartphone at the CES according to Total Tech. This latest octa-core processor will be paired with 6GB of RAM. There will be two built-in option to choose from: 64GB and 128GB. Other notable features of this smartphone includes: Fingerprint sensor, USB v3.1, Type-C connector and fast battery charging technology. There is the HTC 10 and Samsung Galaxy S7 Edge if you don’t want to wait for the release date and want a high-end and powerful phone. 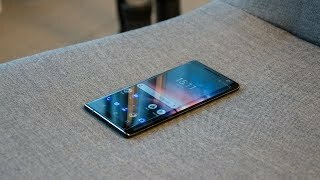 There might be a long waiting time ahead for those who are willing to buy this phone as the phone is expected to show up sometimes after March, 2017. 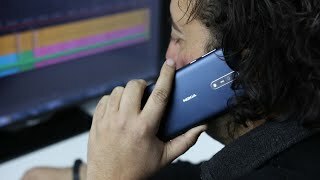 The Nokia 6 sold out in just one minutes in China so it will be a good idea to wait for this one if you are satisfied with the Nokia 8 Dubai price. 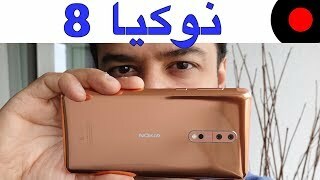 Nokia 8 Review | موبايل اليوتيوبر الاول !! Price has decreased 42% from AED 1699 on 2017-09-05 to AED 987 today.